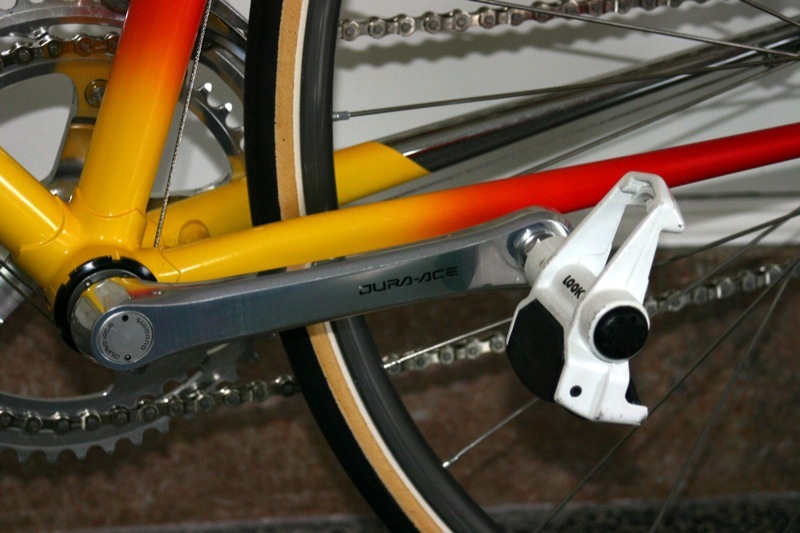 Show us your derailers, and we'll let you in for free. 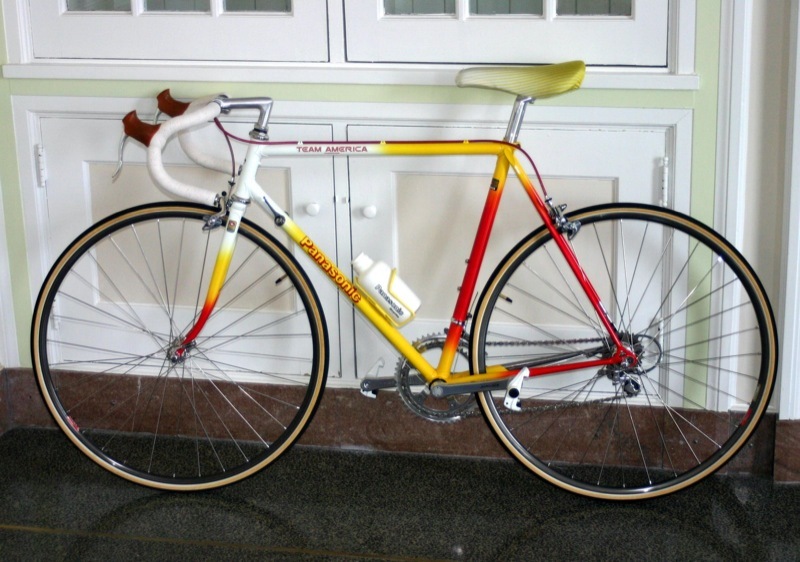 Anyhow, back in 1985 I got a Panasonic Team bicycle for my 11th birthday (yeah, you’ll get pics of that too someday) and that is what got me interested in the bikes. I picked up the 1986 catalog on a visit to my nearby dealer and instantly fell in love with the Team America from that year. 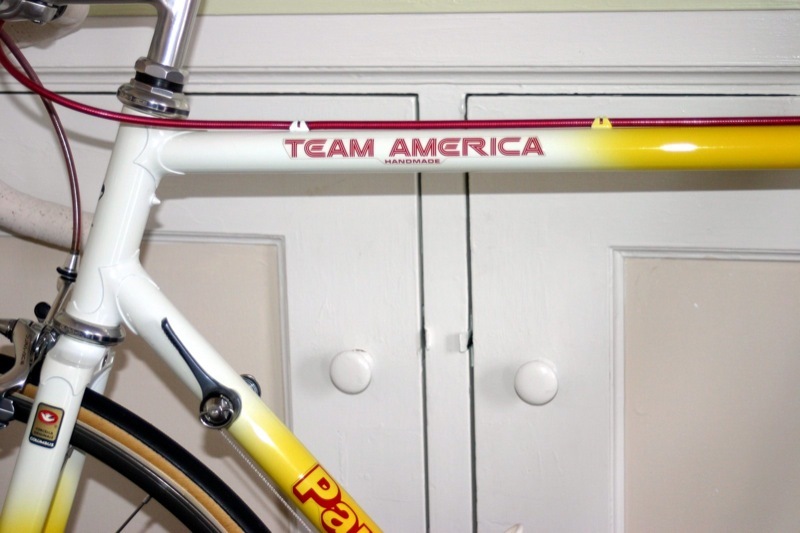 Of course being 11 going on 12, I wasn’t exactly flush with cash so the Team America was just a distant pipe dream for me at the time… along with the other high end Italian bikes I dreamed of. Oddly, I kept coming back to the Team America and would check on eBay from time to time just to see what might be out there. 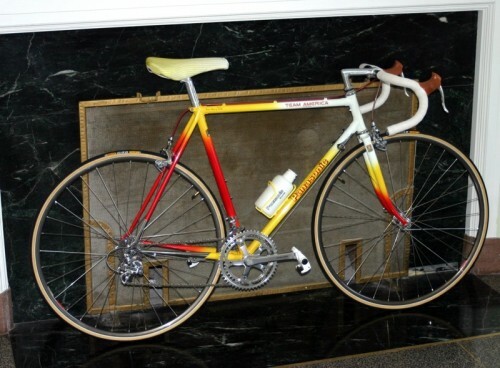 I just NEVER saw them for sale, so you can imagine my reaction when this bike turned up on eBay a couple years ago. I nearly fell off my chair! It looked to be in great shape and I just had to get it. 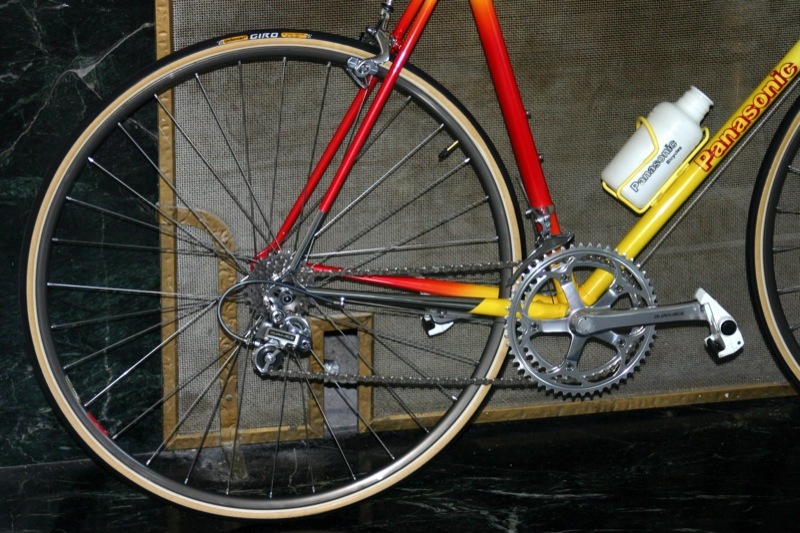 When it arrived I cleaned it up, put on new tires, a new Dura Ace chain, NOS brake hoods, and handlebar wrap and it was just like new. It literally looks like it came out of a time capsule! These Panasonic bikes make me want to have my uk friends find a frame for me on the bay, and send it to me. I LUST. I can see why you keep it in the kitchen — it looks clean enough to eat off of! Great bike, great story, and I love the three-color paint job. I find it interesting how instead of Red, White & Blue, which you might expect, the “Team America” boasts colors would have been more at home on the Soviet or Chinese flag. Fantastic Bike! It looks factory fresh. Does it still have the new bike smell?